Dark electronic foursome Nature of Wires hail from the leafier end of England’s green and pleasant land – Herefordshire in fact – a place steeped in rural pastimes such as making cider and rearing dairy cows. Originally formed in 1986, until 1994 original members Andrew Stirling-Brown (vocals) and Gary Watts (synths & programming) toured the UK and released music that captivated fans with their melodic but muscular take on the synthpop sound that was popular at the time and still retains an affection for fans old and new. In 1993 vocalist Sarah Bouchier, aka Lady B, joined the band, however life and other responsibilities resulted in the band taking what was meant to be a short break. That ended up lasting two decades – until good fortune brought the band back together again in 2014. Gary and Andrew initially struck up their working relations once again after finding that their love for music and desire to collaborate had not dimmed with time, and they quickly set to work on new material. Serendipity (and the Internet) led them to the virtual door of Californian vocalist CountessM and together they produced the first new NoW material for twenty years – the Cyber Rendezvous album which was released on Manchester’s AnalogueTrash label in July 2016. The year saw the band go from strength to strength; writing new music and developing intricate and dazzling live shows with the help of the band’s newest member Tim Powell-Tuck on electronic drums and original vocalist Andrew Stirling-Brown resuming live duties. Nature of Wires performed live across the UK in the afterglow of their reformation, including a BBC Introducing session, Foundations Festival in Salford, the BBC stage at Tenbury Music Festival, The Castle Hotel in Manchester, the SynthWave Live Festival in London and two Beat:Cancer events: Manchester and Leeds. Support slots in recent years have included the likes of Aesthetic Perfection, Lord of the Lost, Ash Code and Empathy Test whilst the band have also played around the UK as headliners in their own right, gigs in Manchester and Birmingham being among the highlights. The band has enjoyed increasing airplay, in fact featuring in the Top 5 Artefaktor Radio chart positions in 5 consecutive months April-August 2017, as well as airtime on local BBC stations in the UK and synthpop / alternative radio programmes worldwide. They’ve also seen their powerful, updated take on classic electronica result in them being sought out to do remixes, over fifty since their reformation – acts as musically diverse as Ruinizer, Vieon, Leaether Strip and Projekt Ich have had the NoW treatment in recent years. 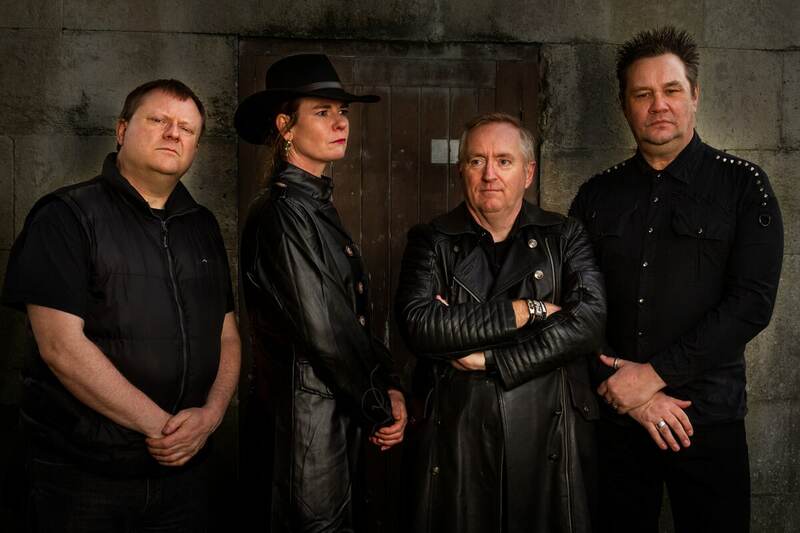 More recently, 2018 saw the band travel round the UK on the Ohm From Ohm tour and also take an exciting step in to the future by looking to the past – the re-introduction of original vocalist Lady B on vocals towards the end of the year brought a new and fresh dynamic to the band. The quartet quickly hit the studio and the road with the new line-up, and 2019 sees Nature of Wires ready to release Reborn, a four-track EP, on a European label, ahead of their next full-length album, Modus, on AnalogueTrash, which will be available in the summer of 2019. The latter will feature remix contributions from Mesh, Leaether Strip, Tiny Magnetic Pets and more. With renewed vigour and a desire to show the world what it missed the first time around, Nature of Wires are constantly working on new material and developing their already-impressive live show. No doubt they will likely be playing a show near you, soon. If you use any of these images or assets, please ensure that they are credited appropriately. You will find credit details within filenames and included text files. Thanks! 5 hi-res images. All photos credit Russ Dallen.